Black Earth, the band featuring current and former Arch Enemy members Johan Liiva, Michael Amott, Christopher Amott, Daniel Erlandsson, and Sharlee D’Angelo performing songs from the band’s first three albums, have recorded two new songs, “Burn On The Flame” and “Life Infernal.” Those tracks will appear on a remastered compilation of ’90s material titled “Path Of The Immortal.” That effort will be released exclusively in Japan on March 20. 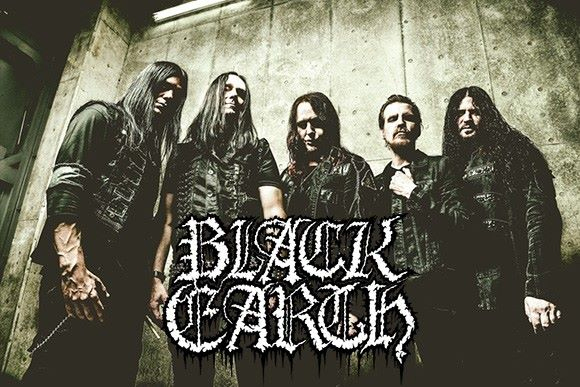 Original Arch Enemy members, Johan Liiva, Michael Amott, and Christopher Amott have reunited in a new project called Black Earth. The group, which also features current Arch Enemy members, Daniel Erlandsson, and Sharlee D’Angelo, will head out on a Japanese tour in May, and plan on playing material from Arch Enemy’s first three albums. Ex-Arch Enemy members, Johan Liiva and Christopher Amott are set to rejoin the band for a special performance at the 2015 Loud Park festival, in Saitama, Japan. The event will take place on October 10. Armageddon have premiered a new video for their song, “Fugitive Dust.” This song will be on the band’s new album, Captivity & Devourment, which will be released on January 26.